UK-based Crave Interactive outshines its competition for the second year in a row, earning recognition as providing the best-in-class digital guest room tablets. London 17 January 2019. 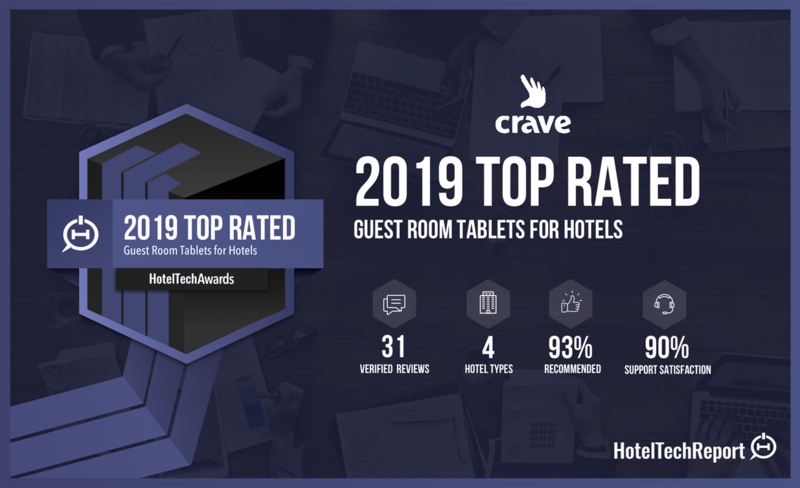 Crave Interactive, the world leading developer of cloud-based digital guest service solutions for hotels, today announced it has been named 2019’s top-rated Guest Room Tablet provider by Hotel Tech Report, marking the second consecutive win for the technology company in the HotelTechAwards. The HotelTechAwards recognize companies that have proven to add immense value for hoteliers by helping them compete in the digital age. Over 100 of the world’s top hospitality technology companies competed for this recognition, and winners were determined based on input from unbiased and verified client feedback. 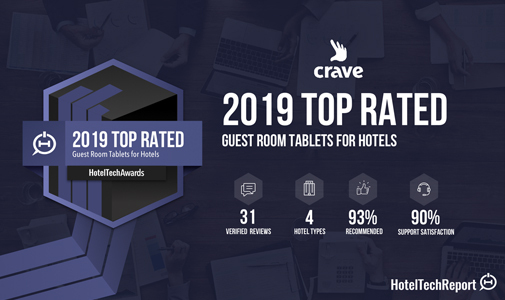 Crave achieved the highest score in the Guest Room Tablets Category. All of Crave’s reviews as well as the full company profile can be viewed on the Hotel Tech Report website. Crave grew its client base significantly in 2018, with tablet installations contracted in more than 25,000 rooms, across 19 countries on 5 continents by year’s end. The company is well-positioned for accelerated growth in 2019 and this award serves as a shining example of its ability to deliver great ROI and service to its clients world-wide.